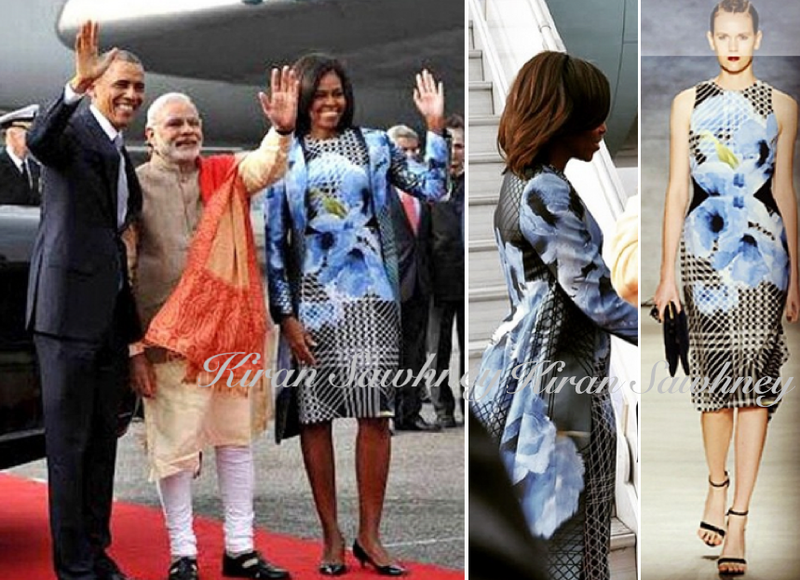 First Lady of USA, Michelle Obama landed in India wearing Indian designer, Bibhu Mohapatra beautiful blue florals on black & white geometrics for the first hello to India. It is a spring 15 poppy print dress and coat. She teamed it with black shoes. She looked great.